In the bookstore today, a customer was looking at my big spinner rack of Who Pooped in the Park? books. He looked at the sign on the top, which shows a picture of me signing books in Yellowstone Park. Then he looked at me. Then back at the sign. Then at me. Then he raised an eyebrow. He swiftly summoned his daughter. I’m very bad at judging ages, but I’m going to take a shot in the dark and say she was eight or nine years old. “This man here is the author of the Who Pooped in the Park? book that you like,” he told her. She looked at me more closely. Oh, well. I’m still planning a book signing at the Pacific Northwest Booksellers Association conference in Portland, Oregon this fall. If I live that long. We have a contract for my 18th book in the Who Pooped in the Park? series! 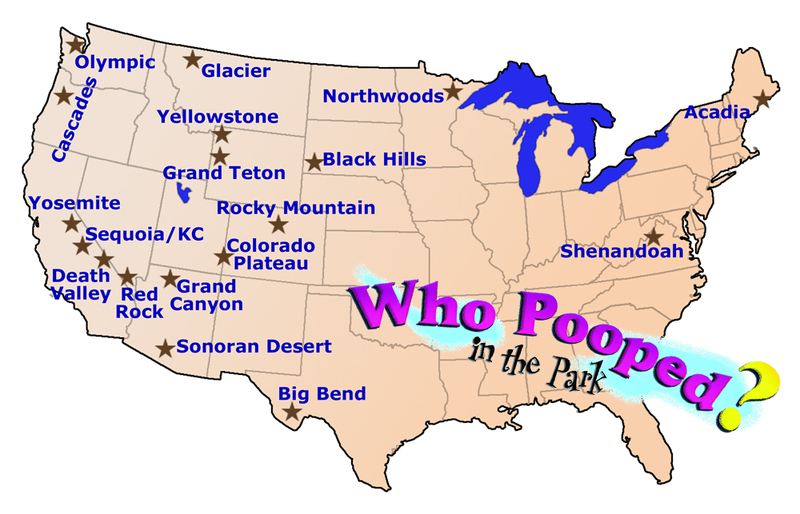 This one will be titled Who Pooped in the Cascades?, and will cover the whole U.S. span of the Cascade Range through Washington, Oregon, and California. Farcountry Press will be publishing the book, and I’m working with a new editor on this one. Has anyone else noticed how easy it is to find out who wrote and illustrated a book, but how hard it often is to find out who the editor was? Well, let’s get that part out of the way right from the start: my new editor is Will Harmon, and I look forward to working with him on the next few books. Obviously, this is a huge area to cover. I considered the Death Valley edition to be a challenge, with its disparate ecosystems, but the Cascades book has a lot of iconic scenery I’d like to cover. My highlight list for the book includes four national parks (Lassen, Crater Lake, North Cascades, and Mt. Ranier), two national recreation areas (Ross Lake and Lake Chelan), a national forest (Mt. Hood), and two national monuments (Oregon Caves and Mount St. Helens). 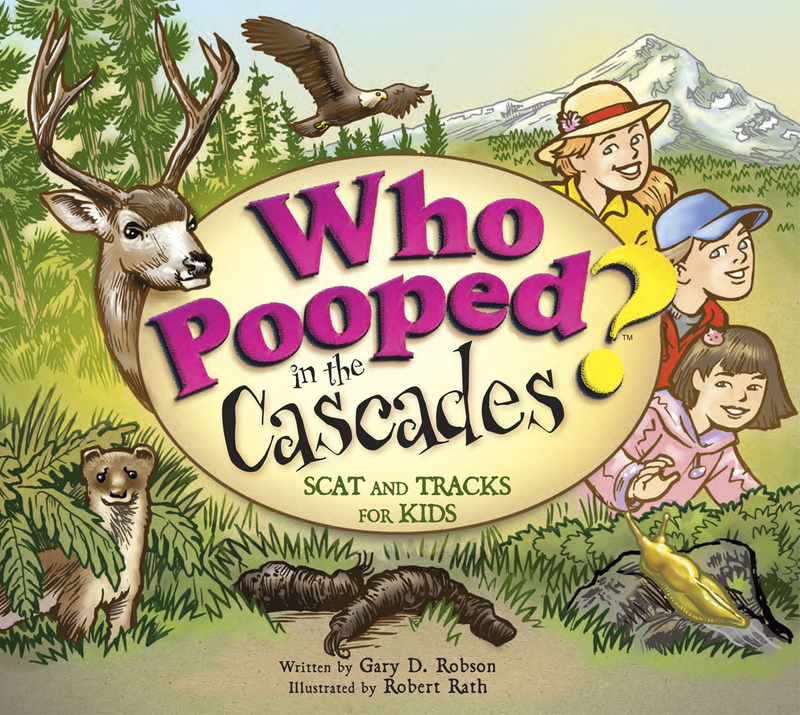 As my regular readers know, I select ten animals to feature in each Who Pooped? book, and then sprinkle as many more animal cameos as we can fit. In this book, I’m using mostly animals whose range extends over the entire area from Mount Lassen to Ross Lake. I’ll post some more about the animals over the next few months as I work on the text for the book. Rob Rath will be my illustrator again. I’m trying to work in even more two-page spreads and panoramic scenery than usual in an attempt to do justice to the scenery of the Cascades. This book will also have some comments and sidebars about volcanoes, since the Cascade Mountains are home to most of the volcanic activity in the contiguous United States. I expect the book to be released next May or June, but Farcountry hasn’t announced an official release date yet. There’s many a slip ‘twixt the cup and the lip, and that goes double in the publishing industry! UPDATE AUG 2013: The book is now out!